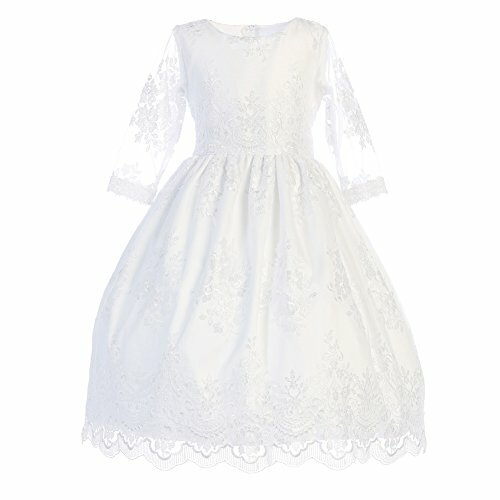 A great Communion dress by Lito engages with its classic design and elegance. Tea-length dress with gathered embroidered tulle skirt. Resembling a fairy tale princess style the white dress features intricate embroidery, scalloped hem and three quarter translucent sleeves. Back zipper closure makes dressing easy. Made in USA.